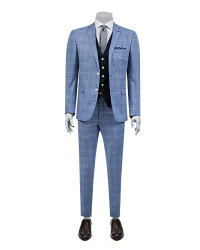 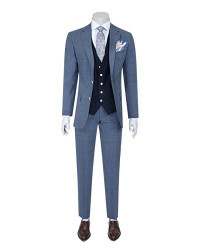 Suits are one of the most important requirements for every man in business life and special days. 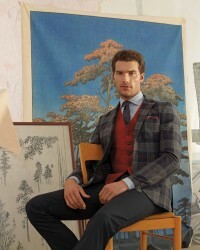 Every man in style should have a suit with a waistcoat. 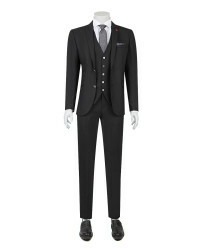 D'S Damat, the new season with black vest suits models, you enter into any environment you can feel the elegance of the eyes. 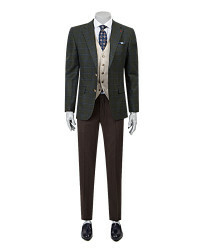 The new men's vest suits have been carefully designed to enable gentlemen to use comfortably in daily life. 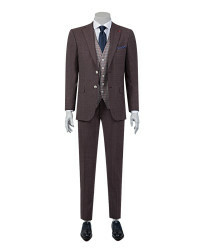 In today's modern men's fashion, the vest suit continues to protect its position. The black vest suit, which is one of the indispensable parts of office elegance, is a favorite part of wardrobe with its stylish cut, fabric structure and high quality image. 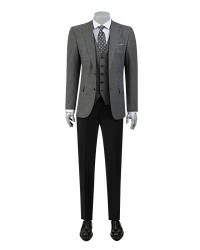 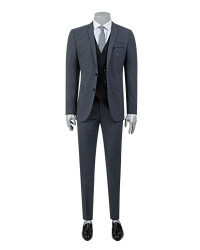 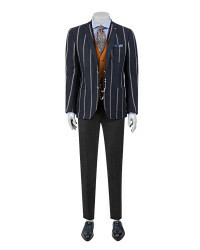 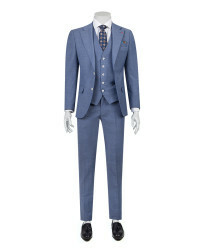 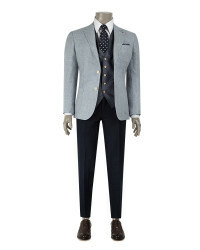 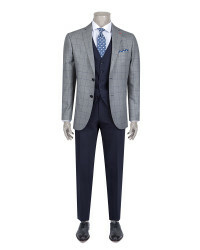 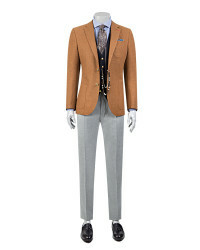 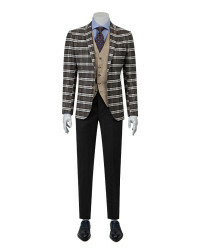 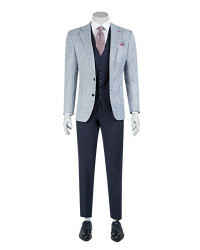 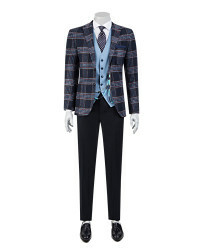 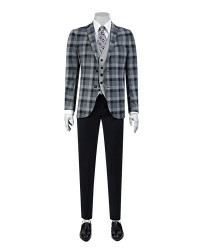 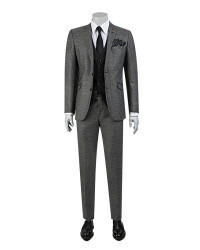 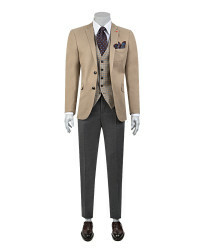 Men's vest suits are ideal for creating a classic or young-dynamic image with a choice of shoes. You can differentiate your shoes by combining your suits and create different styles during the day. 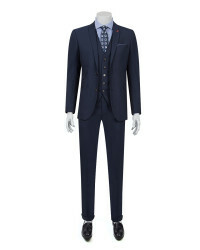 D'S Damat new season suit, slim fit, slim fit, super slim fit, regular fit patterns and anthracite, navy blue, black, blue with a wide range of colors and designed to suit every body and taste. 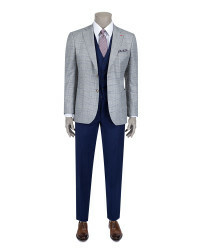 Polyester-viscose blend, linen-polyester blend, polyester-wool blend fabric options, you can use comfortably in any season with the vest suits, plaid, dobby, jacquard patterned and plain patterns can accompany your special days for many years. 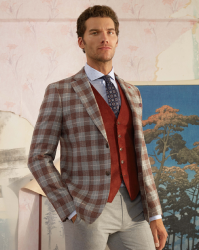 The vest suit will add elegance to your elegance with a stylish watch, a cufflink, leather belt, a suitable tie and a comfortable shoe. 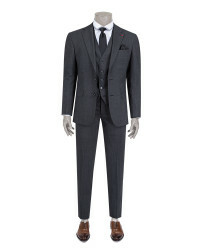 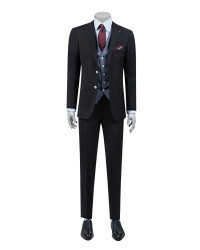 Thanks to its special mold, D'S Damat's branded combined suits, cuts and special fabrics will make you feel special. 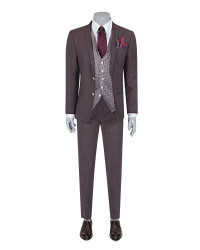 For men who prefer classic elegance, you can check the vest suit models with other models on our website.